Join us for the adventure in the High Tatras with the airport transfer from the Krakow Airport and stay in a remote mountainous village for 3 nights. Low fare flights to Krakow from London and other European cities. Only 1 ½ days off work. Trip designated for solo travelers, couples or groups as well. All about the Weekend Hiking trip in Tatra Mountains. 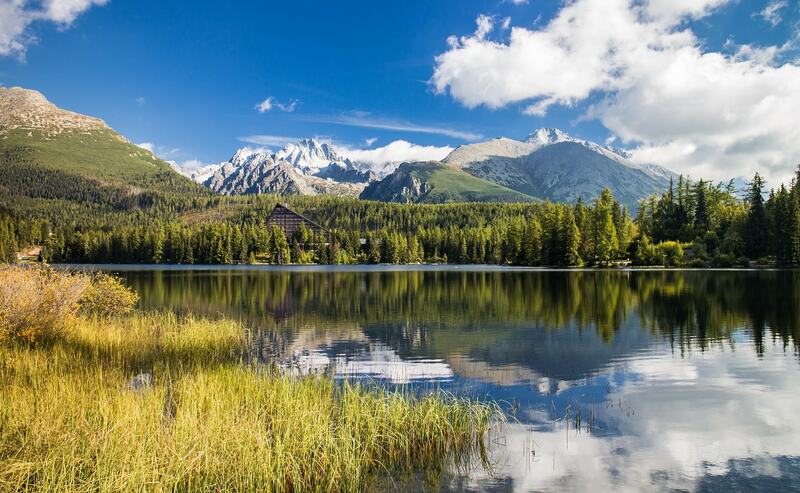 Explore the Tatra mountains – Slovakia´s hidden gem with us. 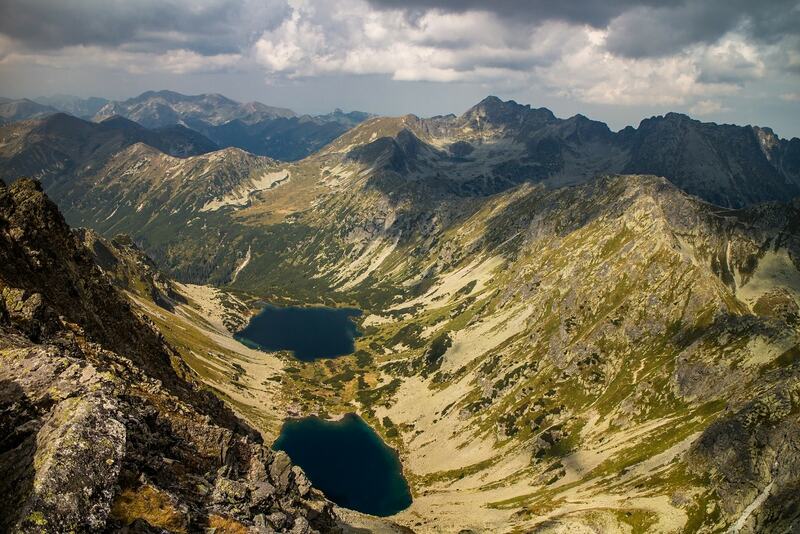 Walk the scenic peaks and valleys of Slovakia’s highest mountain range and prized UNESCO Biosphere Reserve. 1 ½ days off work. Over Three days you will visit and see the most beautiful places of the Tatra mountains. We will wait for you at the Krakow airport, drive you to your hotel, guide you in the mountains, recommend you meals and drinks and drive you back to the airport. 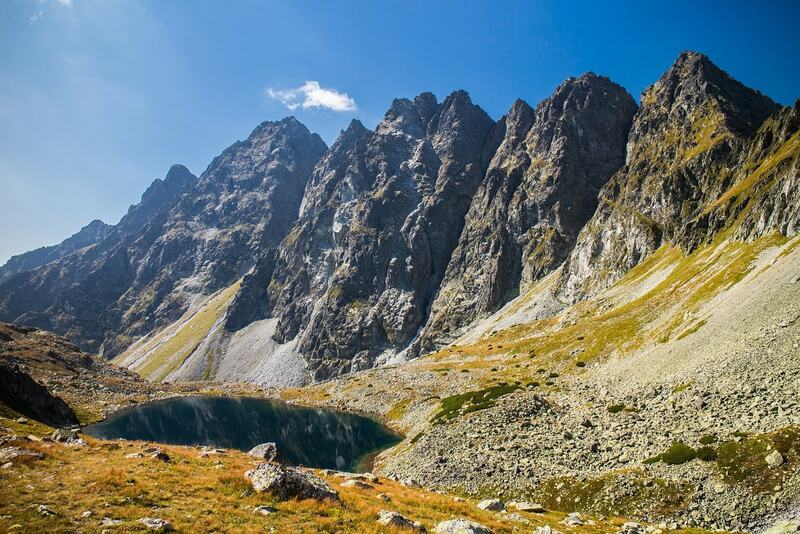 The High Tatras National Park in northern Slovakia is a hiker’s paradise. With 26 peaks over 2500m, several famous walking trails, more than 100 small alpine lakes, and a host of endemic plants and wildlife, the range is like a smaller, less expensive version of the Alps, but still pretty impressive. Spend a long weekend exploring this remarkable area with our local guide. Your nights will be spent in a family owned lodge, situated in a beautiful setting of a remote mountainous village. This is the perfect getaway if you’re seeking an active weekend getaway in a mountain range every bit as scenic as the Alps—but less expensive and more personal. Learn more about the details and dates of the trip on the other tabs. We will meet you at the Krakow Airport in the evening and drive you 2 hours away to your hotel in Stary Smokovec. The included transfer is for flights arriving by 16:25. We will be in touch before the trip to finalise details. After breakfast you’ll hike to the scenic Velicka Valley. Located at the foot of the highest mountain in Slovakia, Gerlachovsky Peak (2655m), the valley boasts incredible scenery. Hike to a pretty mountain lake and eat lunch with a waterfall view, then explore the famous Tatranska Magistrala trail as it winds through a labyrinth of dwarf pines and spruces. Descend along a pristine mountain stream, then return to the hotel for your last night in the mountains. Enjoy breakfast at the hotel, then catch the cable car from town partway up Lomnicky Peak, the second highest mountain in Slovakia. From there you’ll hike to the summit of a 2000+m peak, then descend through a rugged valley to Green Lake. Enjoy lunch at a lakeside hut surrounded by 2500m peaks, then finish your walk through a dwarf pine forest to White Lake. In the evening your guide can take you to an excellent thermal pool or you can relax in town. Refuel with dinner before heading to bed for a well-deserved night’s sleep. After breakfast you’ll pack up and head to Strbske Lake, one of the most scenic—and photographed—lakes in Slovakia. From the lake you’ll enjoy an easy hike and stunning scenery on your way to Popradske Lake. Return to Strbske Lake and toast to an excellent weekend at a lakeside restaurant. Drive 2 hours to the airport to catch your flight home. You will be dropped off at the Krakow Airport at 19:30, so schedule your flight home for 21:20 or later. Accommodation will be provided in 3* hotel Villa Siesta, which is a family run hotel in the village of Stary Smokovec. All rooms are equipped with WiFi, towels and hair-dryer. Possible to arrange a massage on request. You will be staying in TWIN rooms with private bathroom. Start point?Finish point?Getting there and away?Can my dietary needs be accommodated?How fit do I need to be?What should I pack?Can I book on my own? You will be met Thursday at the Krakow airport. The included transfer is for flights arriving by 16:25. We will be in touch before the trip to finalise details. Your tour will end at the Krakow airport on Sunday. You will be dropped off at the airport at 19:30, so schedule your flight home for 21:20 or later. We will be in touch before the trip to finalise details. Krakow International Airport (KRK) is served by regular, inexpensive flights, including direct flights from London on easyJet or RyanAir. You can get any flights that suit you, but make sure they fit the times above so you can take advantage of the included transfers. We will contact you before you leave to check your arrival and departure plans. A moderate level of fitness needed to enjoy these hikes. A typical day of hiking will cover 18km of uneven terrain with as much as 1000m of ascent. Some hikes include short sections of scrambling; previous scrambling experience is recommended but not required. Sure can! This trip is meant to be for solo travellers. The whole group will consist of maximum 8 participants. The guide, Martin was excellent, he had spent his childhood walking in the High Tatras and clearly knew the area well. The planned walks were perfect enabling us to visit different areas with different vistas. The accommodation was spacious and the food plentiful. Thanks for a fantastic Trip, really enjoyed it. All the Best. Martin is an excellent tour guide. Knowledgeable, professional and safe at all times. I thoroughly enjoyed the 3 hikes I did in Slovakia and highly recommend his services. I look forward to doing more tours with you in the future Martin. Martin has been a great hoot! He took us on some great, challenging hikes to some beautiful places and we felt very looked after the whole time. It´s been loads of fun!